Are you getting into basic equations this time of year? Do you want your students to review how to break down a word problem and form an equation before solving? 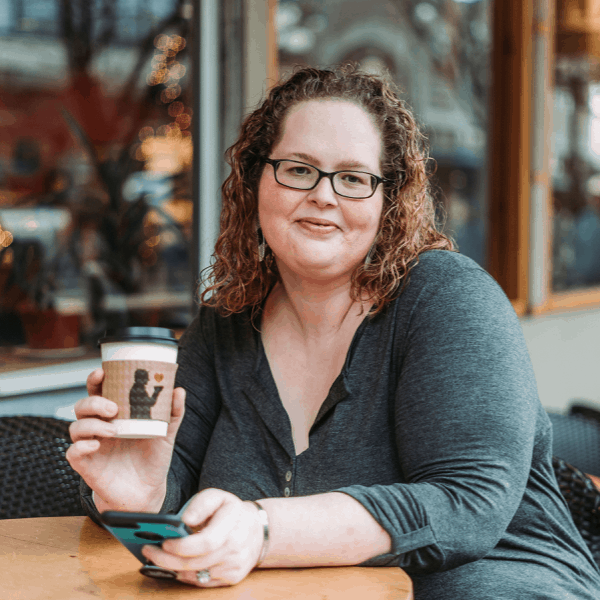 Well do I have a great resource for you! 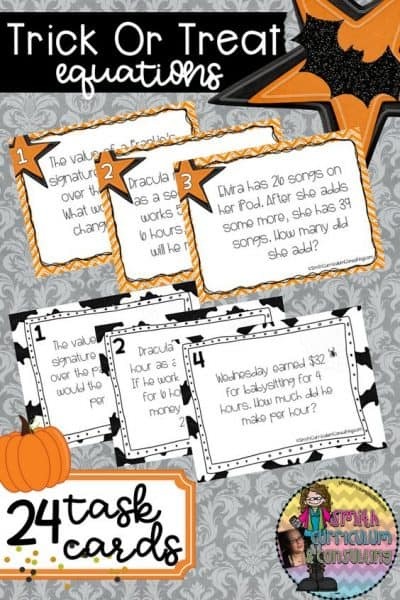 Halloween Equations from Word Problems Task Cards has students test their skills on reading word problems and creating an equation to solve the problem prior to solving the equation. 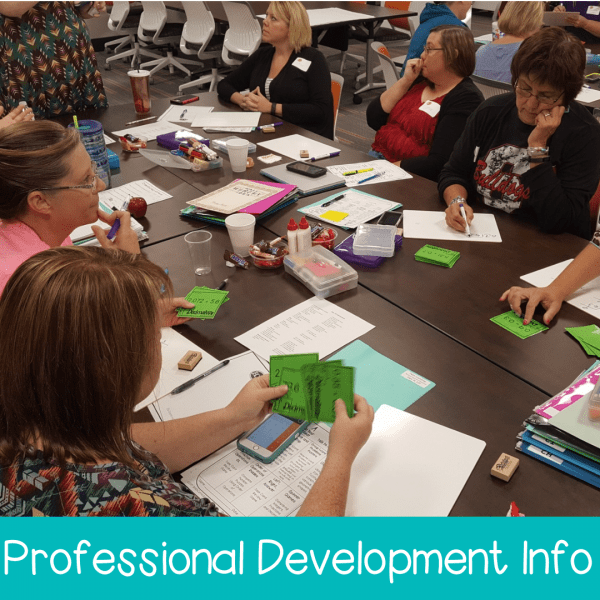 The nature of the task cards also allows for students to be demonstrate their understanding and process through communication with their partner. 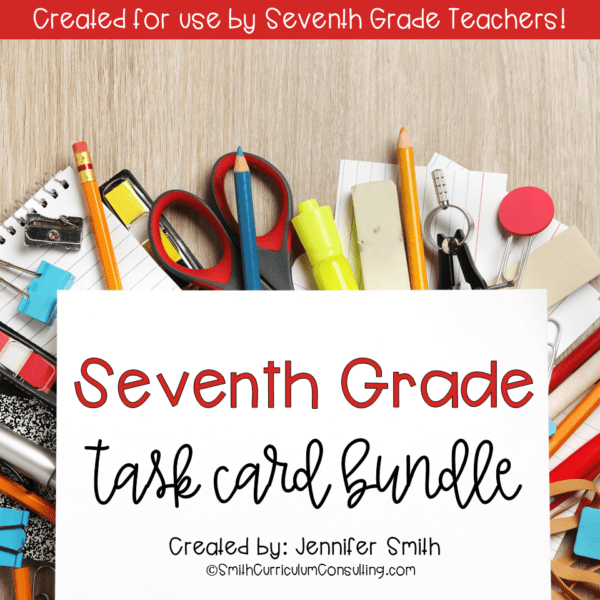 Through the use of Task Cards you can easily set up a station during Math Workshop that swaps out the concept each week and not have to reteach the directions throughout the year allowing you to WORK SMARTER, NOT HARDER! 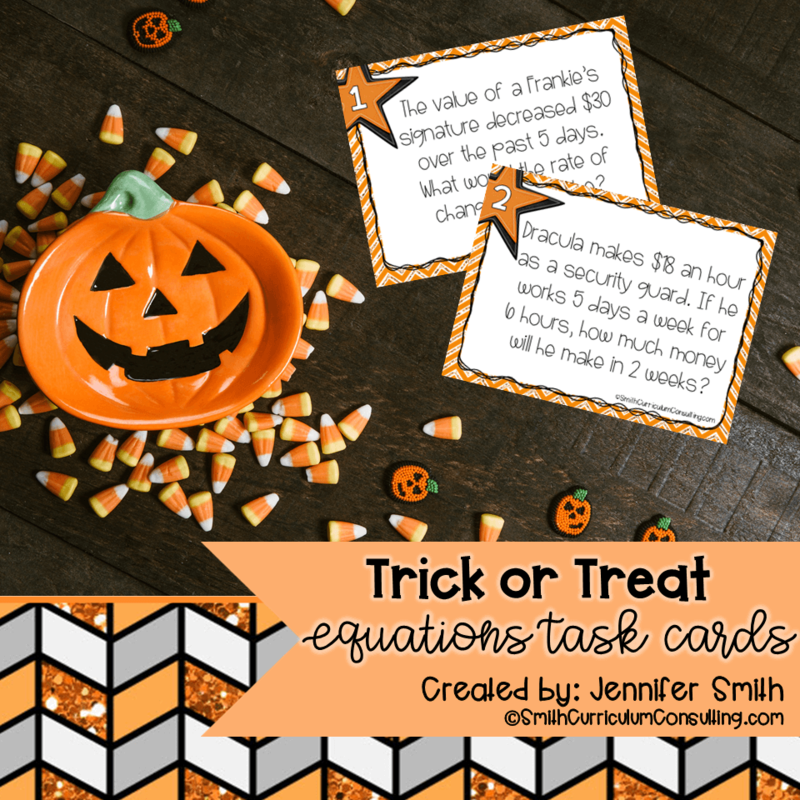 Halloween Equations from Word Problems Task Cards are also great for problem of the day, and perfect for a warm up, bellringer, enrichment, a worksheet alternative, or a partner activity. This set of task cards can also be found in the 6th Grade Task Card Bundle and 7th Grade Task Card Bundle.